The larval form of the common brown beetle that will sometimes be seen at dawn and dusk in late spring/early summer when they emerge as adults and lay their eggs. The beetles will often cause damage to fruit trees and other shrubs by feeding on the leaves, and at times causing severe defoliation. Generally it takes 1 year for them to go from egg to adult, however they will sometimes take 2 years to develop, which around Auckland will happen more often during drought years. 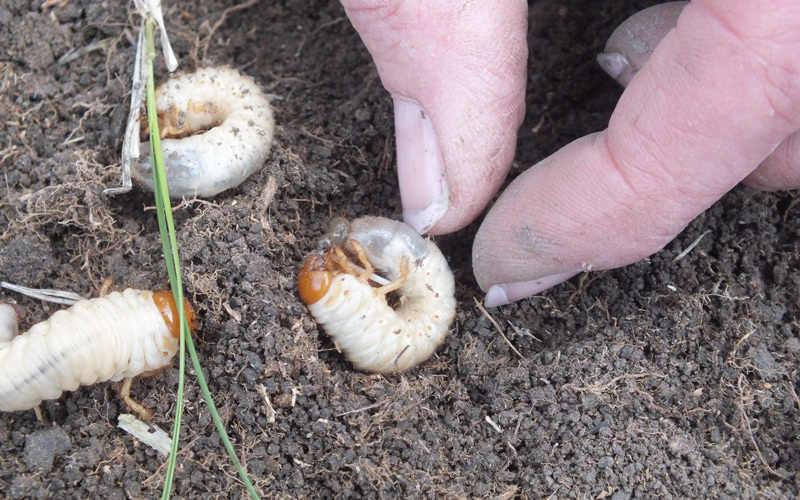 Infesting lawn or pasture, the grass grubs feed on the roots causing small yellow or dead patches to appear. A close examination of these patches should reveal small tunnel entrances (3-5mm). The Grass Grub are usually found at a depth of approximately 15cm, making them somewhat difficult to control. 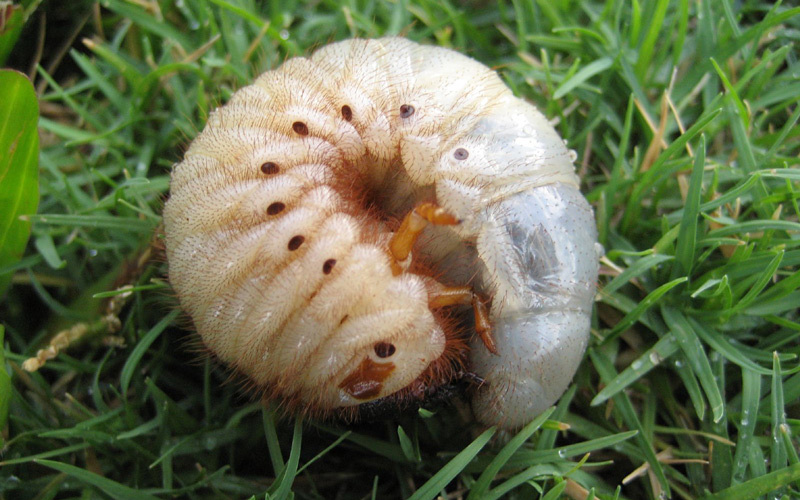 Grass Grubs are sometimes confused with Porina caterpillar. However the damage caused to lawns and pastures differs, Porina Caterpillars feed on the leaves rather than the roots, are easier to control, and the dug out soil and droppings around the tunnels are normally covered with a fine webbing. The beetles are attracted to light, so when possible turn off outdoor lights at night when beetles are active (late spring early summer). If they are only present in a small area cultivating the soil can expose the bugs to predators. 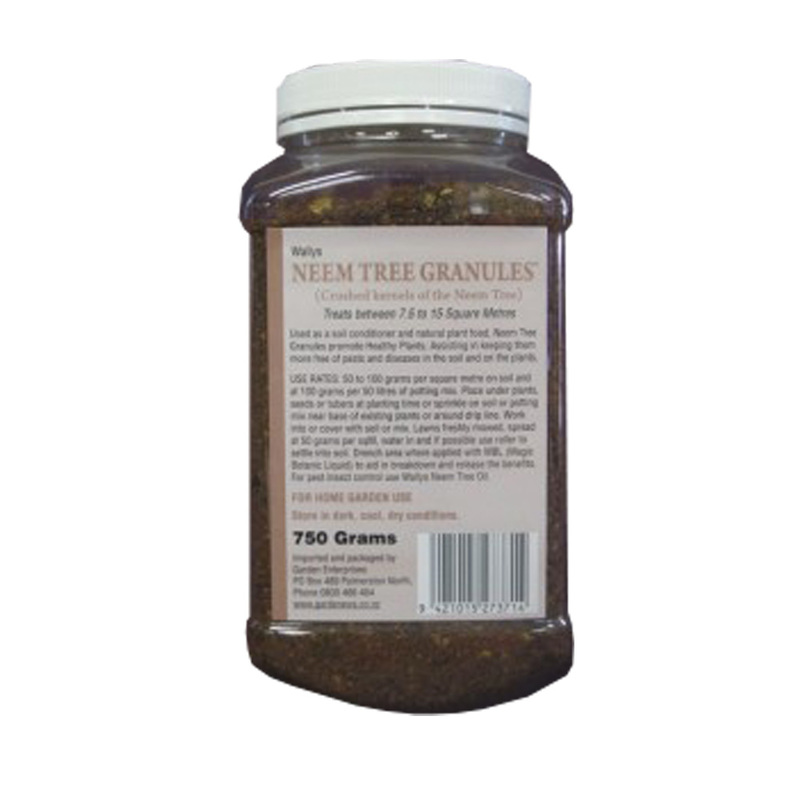 Sprinkle Neem Granules over the affected area. Most effective as a treatment option from Summer through till winter. Can also be used as a preventative over spring. A natural aid in the control of various pest insects and some fungal diseases. Easy to apply by simply sprinkling around the base of affected plants.